There are plenty of good reasons why you will want to fly a kite at home. Maybe you hate leaving the house. Or are afraid of the sun. Or there are zombies outside. Or the weather is never good enough to let you fly a kite out in your town. Whichever of those serve as your motivation of choice, the HomeKite should let you do just that. 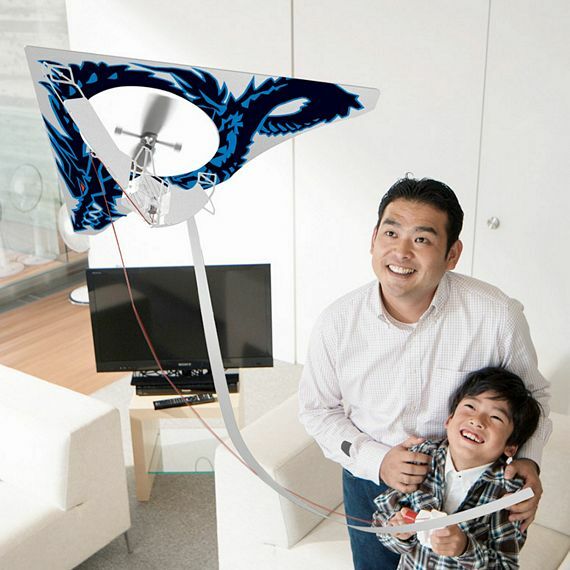 Made by Takara Tomy, it's a kite designed to be flown indoors. 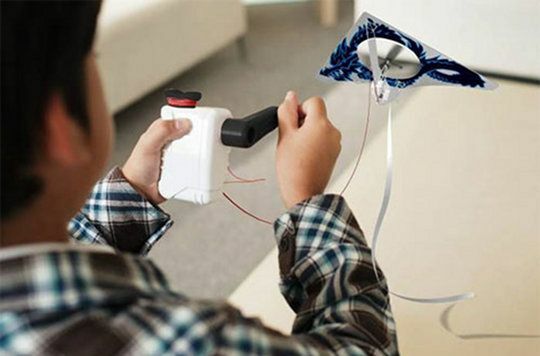 Since there's no cushion of air to raise your kite up inside the house, it cheats by using power to send the thing soaring up to the ceiling. Sure, that's not really as fun as launching a real kite out in the park on a windy day, but it will do. Since flying a kite that can fly by itself just seems boring, the HomeKite will actually need some work from you to get itself up in the air. Instead of regular batteries powering its flight, it uses a hand crank power generator. That means you'll need to work your arm turning the lever over and over, lest have the kite plummet back down the hardwood floor. The actual kite measures 1.1 x 0.2 x 0.6 feet, which should be big enough to be fun without being a hazard around the house. Just make sure to fly it away from your wife's collection of antique vases and you should be fine. Available in white, black, blue, red, orange and green, the HomeKite is available from Japan Trend Shop, priced at $53.